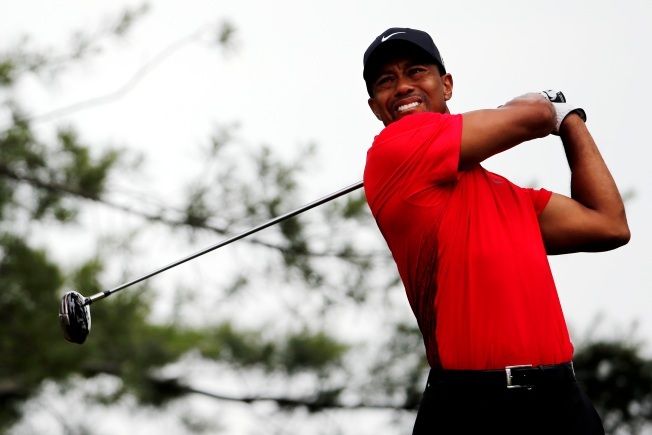 Tiger Woods will miss next week's AT&T National at Bethesda's Congressional Country Club -- a tournament that he hosts and which benefits his own foundation -- with an elbow injury. "I was examined after I returned home from the U.S. Open, and the doctors determined I have a left elbow strain," Woods said in a statement. "I have been advised to take a few weeks off, rest and undergo treatment. I'll be ready to go for the British Open, and I'm looking forward to playing at Muirfield. I would like to extend my regrets to AT&T, our sponsors and the fans in the Washington, D.C., area. The AT&T National means a lot to me and my foundation. It's especially difficult not defending at my own tournament. It's going to be a great event, and I look forward to being there to provide my support." Woods admitted during last week's U.S. Open that he has been suffering from a left elbow strain since The Players Championship in early May. He finished 13-over, his worst score in an Open since 1996. For those still interested in attending, professional play begins next Thursday, June 27, and runs through June 30.